A, 60% of all handling fees are destroyed. B. Simplify the allocation logic and remove the “lifetime member recommender”. C, Room creator can directly get 50% of the commission involved in the forecast. D, according to the public measurement situation, adjust the operating costs to make it more reasonable. A. Modify the results of operations involving participation in forecasting, settlement, and awards involving changes in balances or margins. B. 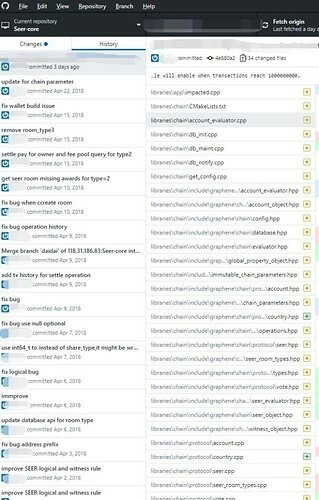 Add the result of the change to the personal history of the relevant owner. Modify the personal operation details interface to fully display the balance changes caused by participation in forecasting, settlement, awards, etc. 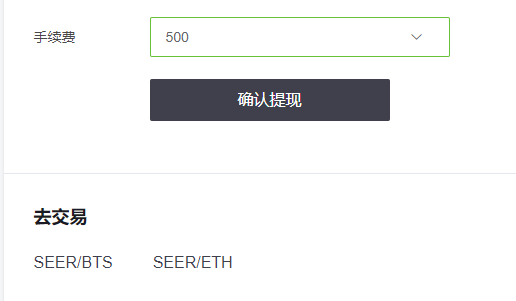 1.The SEER graphical interface wallet launched the participation in the public beta to find bugs and share experience article to win a million SEER activities has ended, SEER received a total of 158 feedback emails. Thank you for your enthusiastic participation. 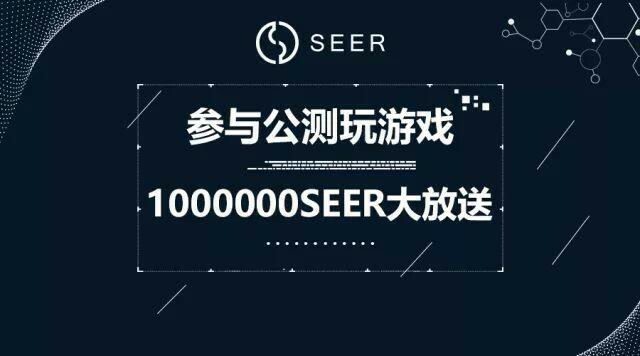 After evaluation by the SEER team, a total of 10 fans were selected to receive 10W SEER rewards. Thank you for your continued attention and support to SEER. 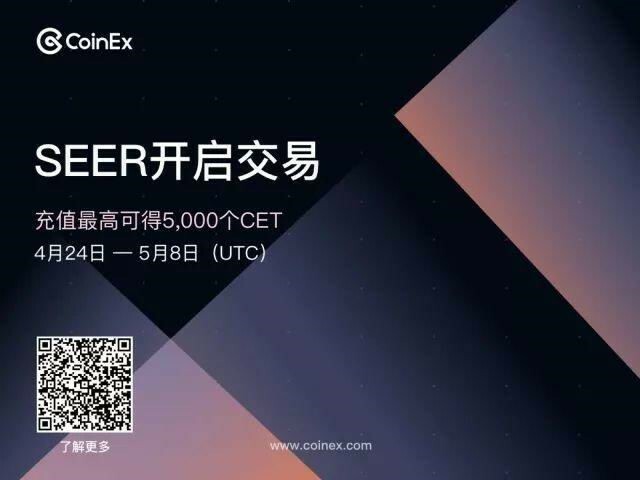 CoinEx has opened SEER withdrawal and trading business on April 24, 2018 (UTC), supporting SEER/BCH and SEER/BTC trading pairs. According to the SEER incentive rules, all previous voting users will divide the total amount of 9,000,000 SEERs. During the first voting period, if you have voted for SEER, CoinEx will be based on the number of votes cast after the project landed. 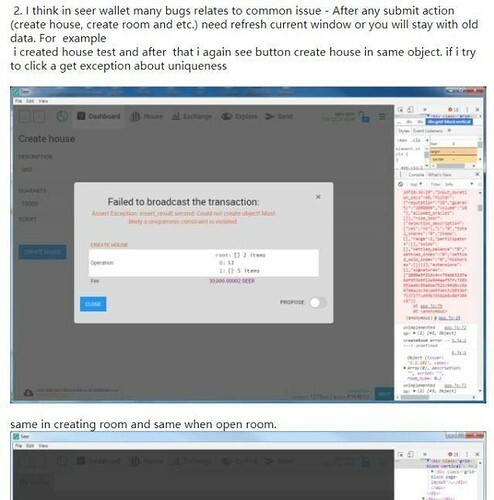 CoinExx will release SEER to your wallet twice, and release it 1/2 when SEER listed on, and release 1/2 after 7 days. Please check it. The event lasts for 2 weeks, and the total amount of CET gifts is 10 million, first come first served. After various evaluations, TOP.ONE determined that SEER was one of the first online tokens. TOP.ONE will be recharged at 4.30 and 5.3 will be officially traded. The first batch was only open to ETH trading pairs. 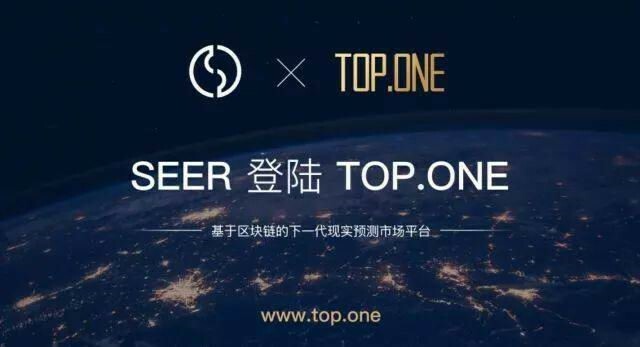 TOP.ONE will work together with SEER to carry out a series of cooperation activities, more dynamic, so stay tuned. 4.After negotiation, the fee handling fee for SEER on Lbank was adjusted from 2000 SEER to 500 SEER. 5. OTCBTC (https://otcbtc.com/) has opened SEER over-the-counter transactions. 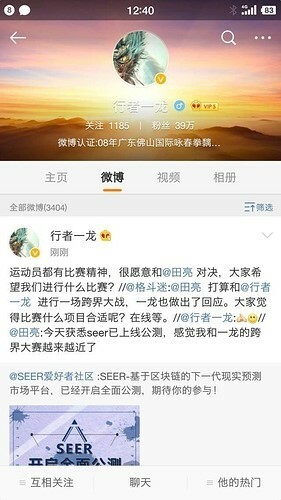 6.The Olympic champion and famous athlete Tian Liang wrote a article to congratulate the SEER public test on Weibo, and invited the fighting players and the Chinese Wushu Yilong to start the competition. Then Yilong also forwarded Weibo to respond. I look forward to the two superstars playing under the prediction of SEER. 7. 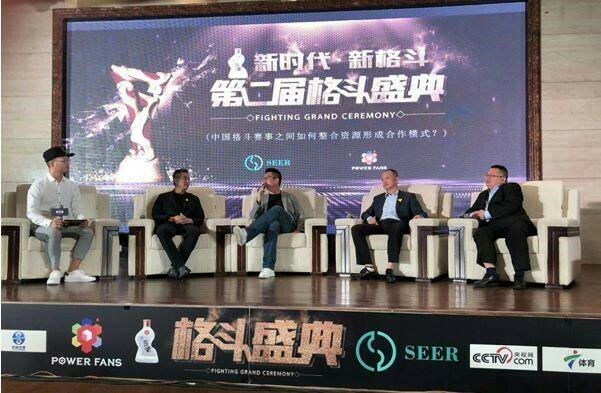 On April 26th, the fighting festival supported by SEER and PowerFans was successfully held in Chengdu. Chinese and foreign major event representatives, star boxers, well-known clubs, top investors, media people and many other large coffees were all present to make suggestions for the Chinese fighting industry. Guo Chendong, Glory of heroes founder, Wang Xingong the legend of Emei co-founder, Luo Weimin Kunlun Fight CEO, director Tony Chen, Wang Chunyang, elephant sports president and others have a discussion on market forecast. The discussion raised the need for data and resource sharing, cross-border entertainment for business events, and industry alliances. In this regard, SEER investment representative, SEER-based DAPP Powerfans and fighting fan founder Wu Gang said that this year they will build a sports blockchain model overseas at the end of the year, using millions of fans to bring quality boxing fans. At the same time, blockchain-based event crowdfunding was carried out to transfuse sports events.